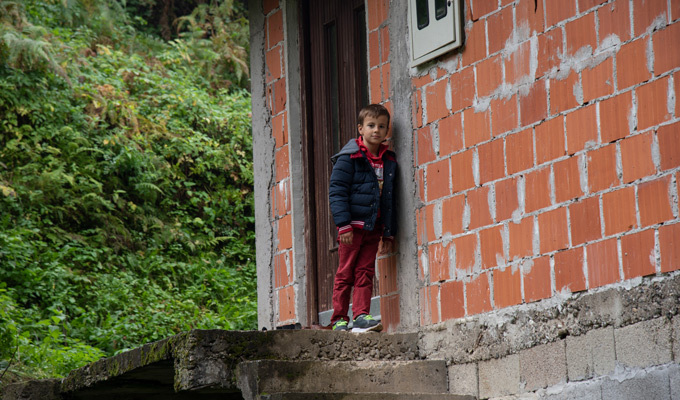 In Srebrenica, Bosnia and Herzegovina, a young father is struggling to come to terms with the effect of a childhood marked by domestic violence. Having the SOS team by his side has given him new hope that his own family can have a better future. “The pain inside is unimaginable,” says Nurija, sitting in the only room with heating in his small apartment. This is where the entire family sleeps. Nurija is speaking about his childhood. Nurija, 27, his wife and his two children, a six-year-old son and a four-year-old daughter, live in Srebrenica. The small town in Bosnia and Herzegovina came to the world’s attention after the genocide that took place in July 1995 during the Bosnian War, with over 8,000 men and boys killed in a few days. Nurija childhood was marked by domestic violence, his father was an alcoholic. Nurija still feels the effects of it today and is wary of discussing this part of his life, even in the psychological counseling session he attends. “I understand that it’s necessary, but I can’t go back to those stories. I feel worse after talking about them,” Nurija says. SOS Children’s Villages started supporting Nurija’s family in 2017. The SOS team visited another family living in the same house and noticed that his two children were at home alone. Nurija and his wife were out working and could not take the children with them. Initially, Nurija was not happy that SOS Children’s Villages was going to be involved in his family. He was afraid of losing his children. But when he met with the family advisors, his attitude changed. Today, Nurija says that SOS family advisor Meliha is like an older sister. Whenever he has problems, he goes to see her to get her advice. SOS family advisor Meliha with Nurija and his son. The SOS family strengthening team in Srebrenica provides individual support for families living in vulnerable circumstances. Together with the family members, the team identifies the family’s needs and challenges and tries to find solutions. For Nurija, having someone to talk to has been extremely important. “I don’t feel confident about myself. I make quick decisions that are not good. That’s why I need support,” he says. He also has health problems, suffers from epileptic attacks and struggles to overcome the effects of his difficult childhood. His wife works for a textile producer and Nurija stays at home to take care of the children. He tries to earn additional income, but it is primarily limited to short-term employment and seasonal work. Alen spent his the first years of his life in France. Back in Bosnia and Herzegovina, he needs speech therapy to improve his pronunciation of his mother tongue. For a long time, Nurija shied away from assuming his role as a parent. “I was very nervous, I felt pressured. So I left my wife to deal with the children. Now I am so involved that the kids get bored with me,” he jokes. Nurija is very cautious about how he speaks to his children. He does not want to raise his voice or break down in front of them. He does not want them to have the same childhood he did. He says that through the family strengthening support he has learned a lot about how to be a parent. “I take the advice I get very seriously. It really has an effect on me and my family,” he says. The SOS team also supports his children in their development. Six-year-old Alen* attends speech therapy. He spent five years of his life in France, where the family went to seek asylum. When the family had to return to their country, Alen had difficulties communicating, he was used to speaking French and did not pronounce words correctly. The speech therapy has already brought improvements. Additionally, SOS Children’s Villages helps the family with school supplies and educational activities for the children, and Meliha helps them to get access to health care. Meliha also helped Nurija submit an application to another organization that helps families build a house. The family currently lives in a small apartment for free, but it is not a permanent solution and the family needs more stable housing. Nurija took out a bank loan to buy a plot of land for their new home. He is worried that he will not be able to pay back the loan in time, and Meliha is helping him to find work. 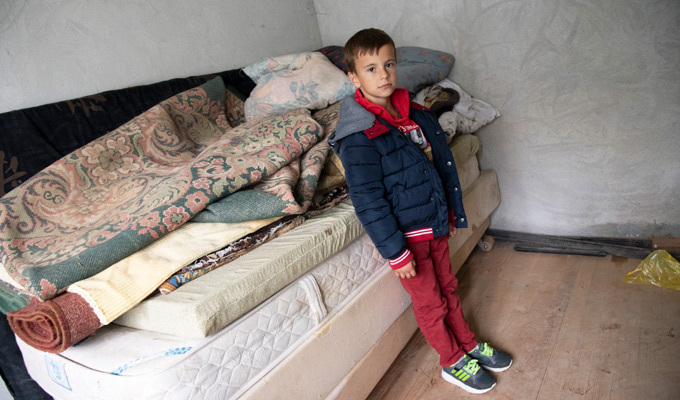 Nurija hopes that his family can soon move into more stable housing. Despite the improvements, Nurija knows that the family has to take one step at a time to move towards a better future.